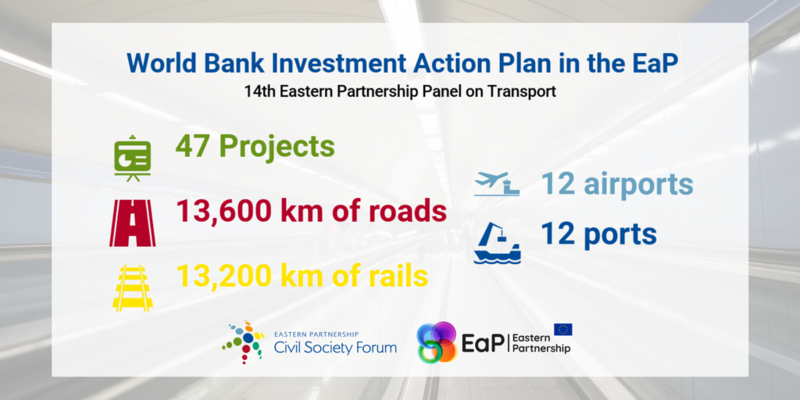 On April 17, 2018, the Eastern Partnership Civil Society Forum (EaP CSF) contributed to the discussions at the 14th meeting of the Eastern Partnership Panel on Transport. Oleksandra Gumeniuk, Deputy Director of European-Ukrainian Energy Agency, represented the Forum and made comments and recommendations on the major issues of the meeting, which included the perspectives of development of the Trans-European Transport Network (TEN-T) in the Eastern Partnership, and the state of play of transport policy reforms regarding road safety. Ms Gumeniuk presented the road safety reforms implemented in Moldova under the framework of the Priority 2 of the 2020 National Development Strategy Moldova 2020: good roads everywhere. She also distributed a one pager on transport infrastructure development for electric vehicles in Ukraine. 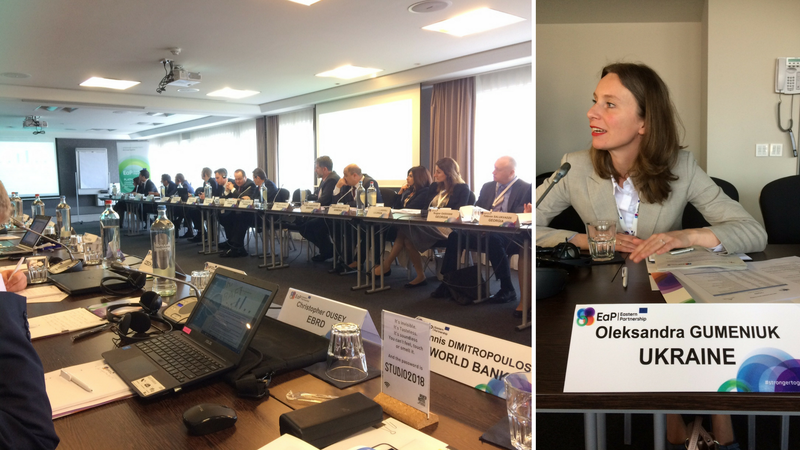 During the meeting, the World Bank presented the draft of the Transport Investment Action Plan for the Eastern Partnership. The EaP core network consists of about 13,600 km of road, 13,200 km of rail, 12 airports and 12 ports.